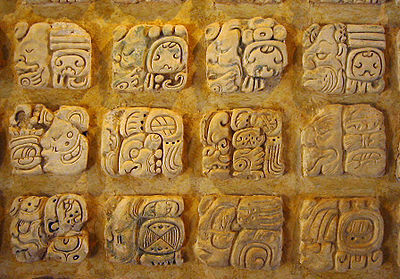 Maya religion was far more complicated than the simple worship of gods of nature. The Maya world was composed of 3 layers - the Heavens, the Earth, and the Underworld. The village chief acted as the leader of political life, as well as the priest. He was responsible for standing between his people, and the otherworld. 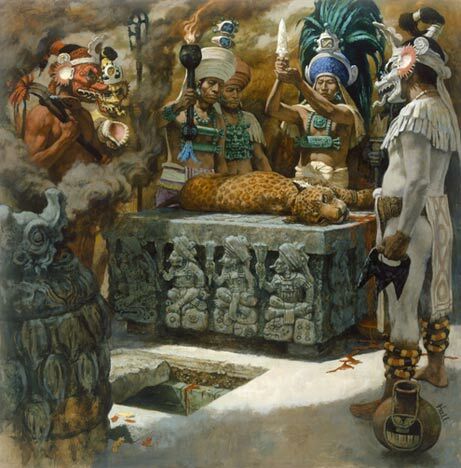 He performed important religious ceremonies, that the Mayans believed would earn the favor of those in the otherworld, and bring about their blessings. The worshippers strongly believed in a relationship between the supernatural and human beings, which they nurtured and developed. The early Mayans believed in the religious sacrifice of humans, particularly practiced by the elder priests in the religious hierarchy. The Mayan religious calendar tzolkin comprised of only 260 days and two cycles each comprises of weeks spanning 30 days and 20 days. Another calendar called tun comprised of 360 days and five added unlucky days. As per the beliefs of Mayan religion, agricultural produce was the gift of gods; hence, they paid great attention to the cycles of rain and harvest. The Mayans appeased their gods with the human blood collected from the human sacrifice. During the festival time, the Mayans organized music, dances and prayers to please the Mayan gods. The gods were worshipped with a variety of practices: preparing food without salt and chilli, periods of celibacy, abstaining from meat, fasting, praying and burning incense, offerings of flowers and fragrant herbs. The Kings were not only the rulers of the people but also Priests and provided the way that the people communicated to the Gods. The Kings would perform many of the rituals for the people so that the Gods would be happy with them. The King was often seen as the World Tree that connected the people to the Gods. The rituals were performed in order to satisfy the gods and guarantee some order to the world. Different rituals and ceremonies corresponded to different practices such as divination, baptism, rites related to the cycles of the year, cycles of time and ceremonies of sacrifices for the gods. The ceremonies generally began with preparation and purification through fasting and abstinence . The Maya believed in blood sacrifice to keep the cosmos in balance and a sacred ceiba or "tree of life." The cosmos according to the Maya Popol Vuh creation myth, and the Dresden Codex, had been through several cycles of birth and then destruction by deluge. Hunab Ku was the creator god and the Old Woman Goddess, the patron god of death and destruction, held the bowl from which the deluges occurred.